When it comes to modern updates to classic dishes, I feel that it’s fine to change the technique, but the finished product should be as good as the original if not better. I wanted to figure out a slow cooker version of classic Thanksgiving mashed potatoes so that I could save some space on my stove top, but all my attempts kept turning out beige. Beige mashed potatoes on my holiday table won’t do. I was determined to find a solution. The root of the problem is that cooking potatoes in the slow cooker requires less liquid than the traditional stovetop method, which means the potatoes are exposed to air. Which in turn means that they oxidize and brown. There’s not much you can do to avoid this dilemma if you (like me) have your heart set on crock pot mashed potatoes. But tinkering with the type and amount of cooking liquid and the way the potatoes are cut can help mitigate the browning. Broth and buttermilk seemed to only contribute to the beige potatoes, so they were out (although I loved the flavor of buttermilk). Whole milk and heavy cream both had good results, and I settled on heavy cream for the richness and creaminess it gave the finished potatoes. I tried haphazard pieces, 1-inch cubes, and 1/2-inch cubes. The smaller 1/2-inch cubes of potatoes cooked the quickest and released their liquid faster, so they sat above the liquid for a shorter period of time. This resulted in less oxidation. They were my winner. So, it turns out that the key to creamy, fluffy non-beige slow cooker mashed potatoes has everything to do with the liquid used for cooking and the size of your potatoes! For me, it was heavy cream and smaller 1/2-inch cubes of potatoes. I finally have my ideal slow cooker mashed potatoes – just as good as Grandma used to make. When you first combine the milk and potatoes, the potatoes won’t be completely covered by the liquid. The butter will eventually melt, and as the potatoes heat up they will release their own liquid eventually covering the potatoes. 1 Combine the potatoes, cream and water to the slow cooker. Stir to coat. Dot the top of the potatoes with butter and sprinkle with the salt. 2 Cover and cook on high for 3 1/2 hours. 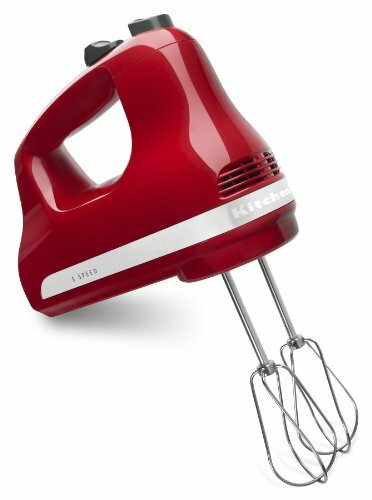 3 Mash the potatoes: Mash with a potato masher for chunkier potatoes, use a ricer, or whip with a hand mixer. Add more salt or pepper to your liking and serve. Holding Potatoes on "Warm": Mashed potatoes can be held on the "warm" setting of your slow cooker for up to two hours or so without noticeable loss of flavor or texture. However, note that the color does begin to deepen the longer you hold them. Reheating Potatoes Later: Reheated mashed potatoes are always a bit tricky since the potatoes seem absorb more butter and cream. Plan on adding a little more butter and cream the next day as the potatoes warm – just eyeball it (too much cream and butter is rarely a problem!). Once warmed, whip the potatoes with a hand mixer for about 45 seconds to recreate your desired consistency. Hello! All photos and content are copyright protected. Please do not use our photos without prior written permission. If you wish to republish this recipe, please rewrite the recipe in your own unique words and link back to Slow Cooker Mashed Potatoes on Simply Recipes. Thank you! I have made crock pot mashed potatoes for over 20 years by just covering the cubed potatoes with water and cooking on high until done. Then I drain them and proceed just as if they had been coked on the stove top. This was a real life saver on Sundays with 5 starving kids. They were always done when we came in from church. I had a crock pot with the meat, one with the potatoes and a small one with a veggie going most weeks. I’m with Ellen , though I mash the potatoes with a potato masher, and then keep them warm in my 4or 5 liter slow-cooker. They’re always delicious. I use my 7 liter slow cooker for dressing, as I prefer not to cook it in the turkey. 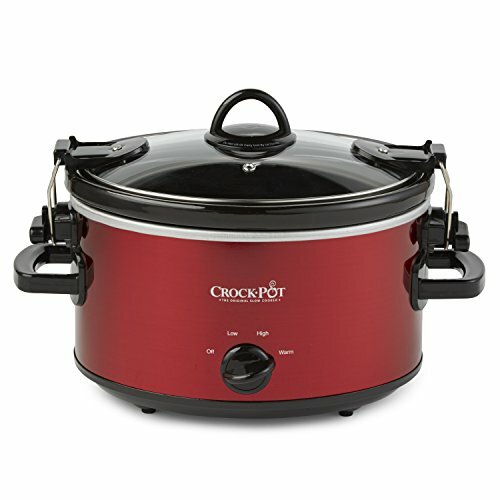 Finally, I have my smallest slow cooker to keep the gravy warm..
I’ve made mashed potatoes before in the slow cooker. The first time they came out great! The second time they came out like glue. What’s the secret? Hi, Laura! Probably the type of potatoes and how your mashed them. We like yukon golds for mashed potatoes, and then mash them by hand or with a potato masher. Mashing with a blender or hand mixer can sometimes make potatoes gluey. Good luck! I use russet potatoes both times, so I don’t understand why they came out well the first time and not the second. Also, I do only mash potatoes by hand with a potato masher. I’ll try yukon golds next! So weird! Sometimes potatoes can vary in amount of starch, even within the same kind of potato, but… still weird. I’m sorry! Gluey potatoes are never what you want! Hopefully you’ll have better luck next time! Anytime I’ve made anything with potatoes in the slow cooker they’ve turned out grey and disgusting – anyone know what the problem is? I’ve tried baked potatoes, potatoes in stews, etc – always grey and gross. I have never tried this. It definitely looks easy and delicious. Thank you I will try this for sure. Love this idea! I always make my sweet potato casserole in one of my Crock Pots, so why I never thought to make the mashed taters that way, I cannot say. Thank you! I would never have thought to cook mashed potatoes in a slow cooker, but it’s kind of genius! Mashed potatoes is sth I love. It’s so Polish and each dinner should include them hahaah. I make the mashed potatoes my usual way (with a ricer) but always use the slow cooker to keep them warm for large dinners like Thanksgiving. Works great!